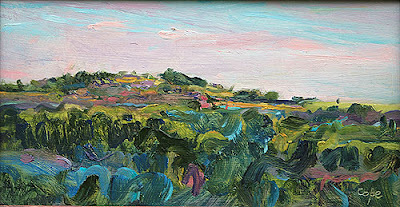 painted this little hill in the Cahors many times, lost count, and so have stopped numbering them (though I would like to – about thirty times I reckon). here’s one from last summer – a sunset. like the blue twinkle in it.